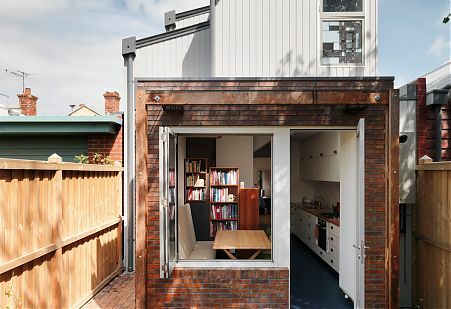 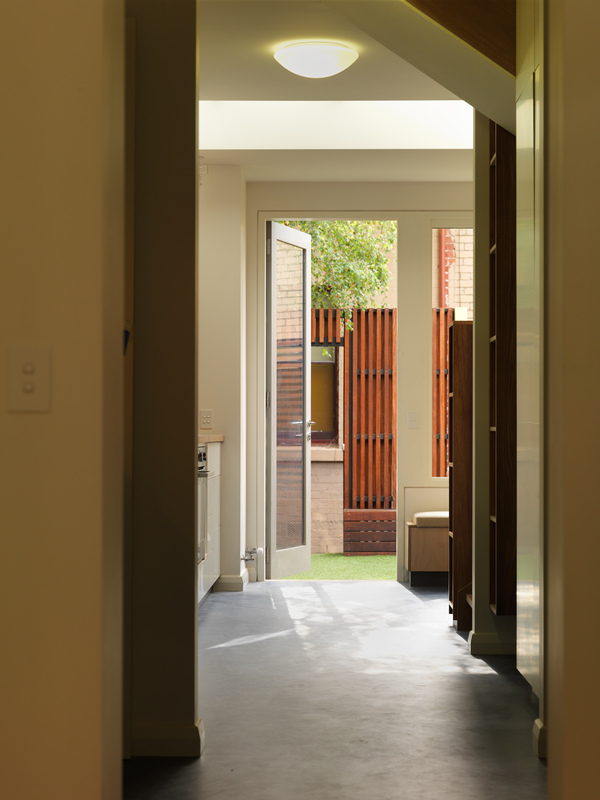 The owners of this small single-fronted cottage in North Fitzroy were looking for an affordable rejuvenation that would save them having to move to a more distant suburb for more space. 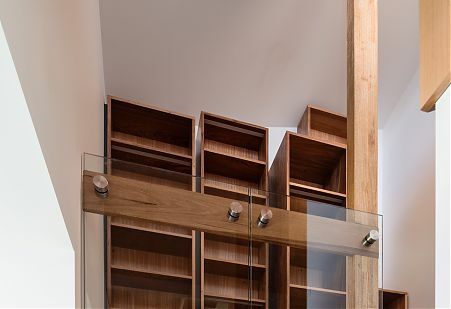 One proviso was that they needed plenty of storage for their large collection of books. 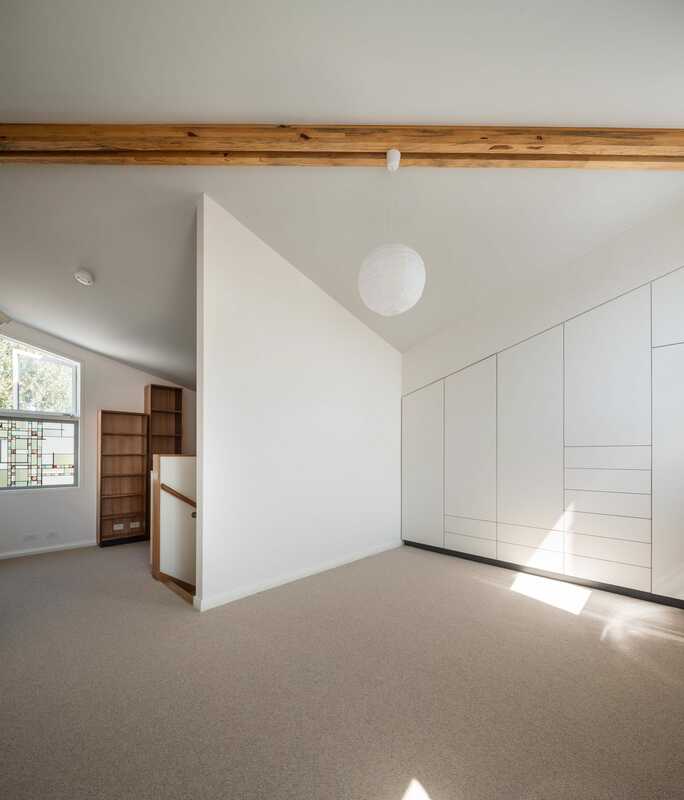 This was the sort of challenge we relish: coming up with a functional and ergonomic design that would enable our clients to ‘live small’ without compromising on good design, space and the creature comforts modern families expect. 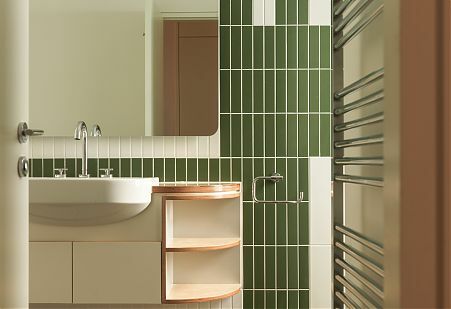 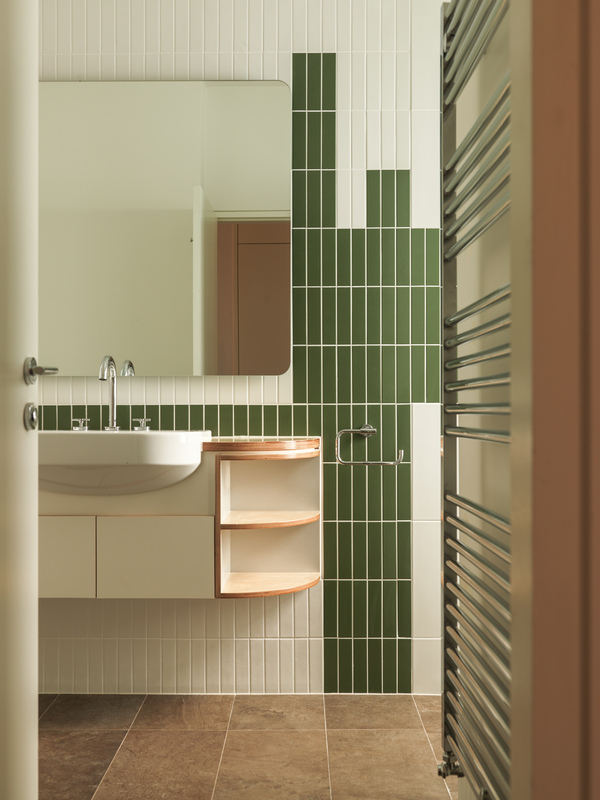 The ‘puzzle’ is to make sure every detail matters and every square centimetre is used effectively. 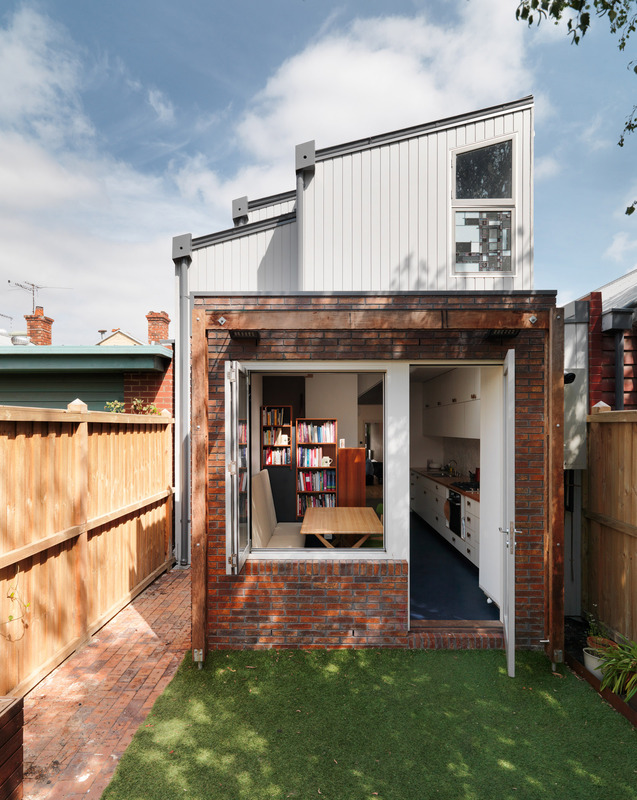 As is often the case in the inner suburbs, we were also constrained by council planning requirements. 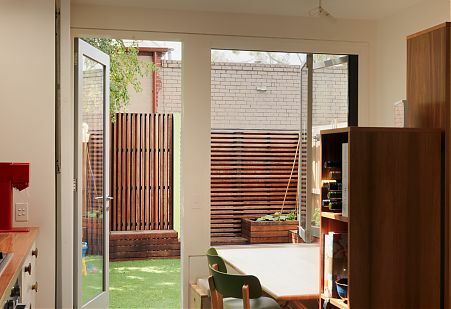 Rather than seeing these as a limitation, we used these requirements as further inspiration to create an innovative design that minimises overshadowing onto neighbouring properties. 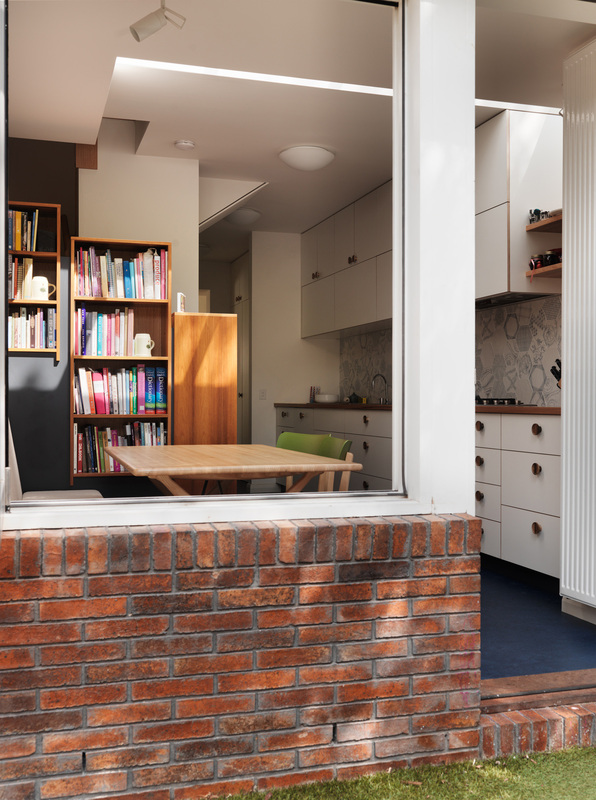 The rejuvenation of the cottage needed a clever knitting together of old and new. 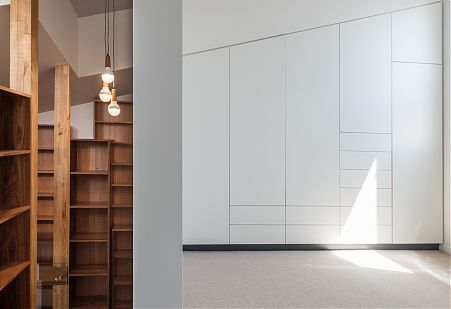 Paying homage to the building’s history, we renovated the original front three rooms into simple, elegant spaces providing connection to the past with newfound flexibility. 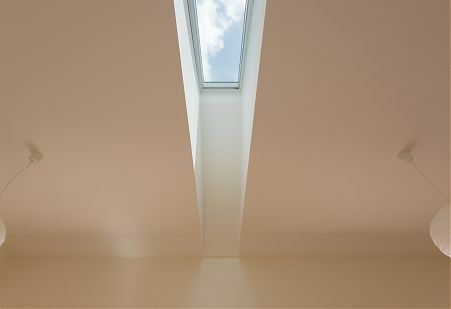 Daylight was introduced into the previously dark third room by carefully introducing a skylight between existing rafters. 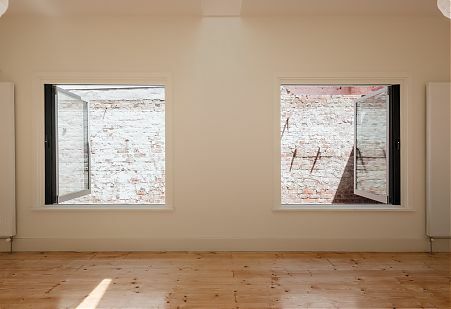 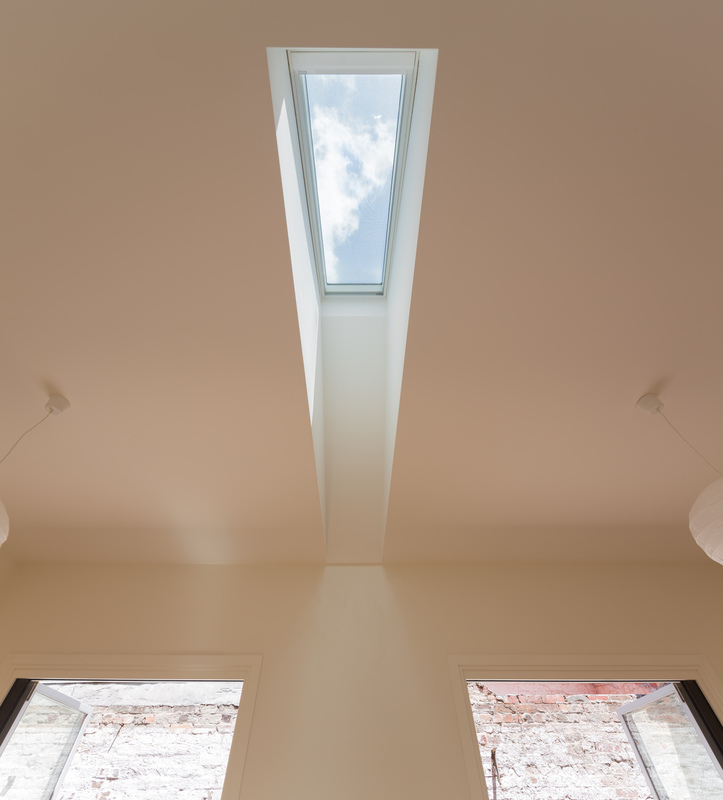 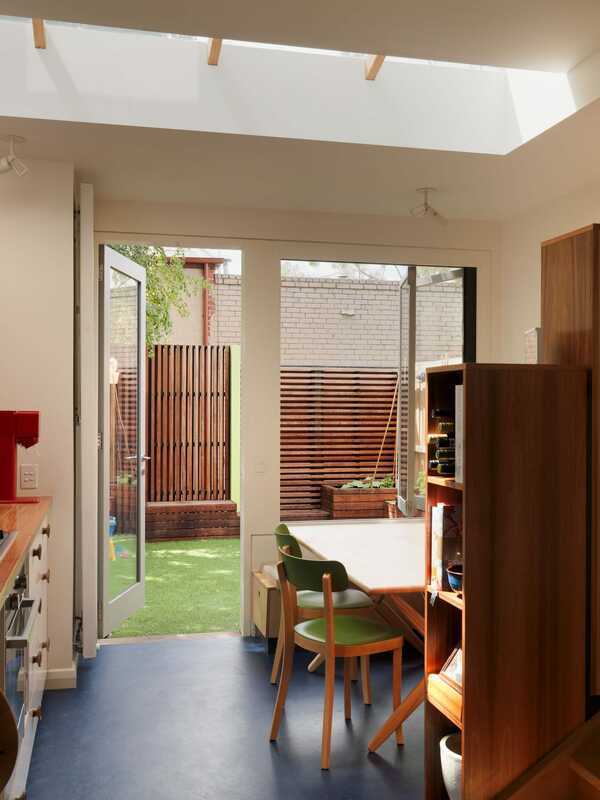 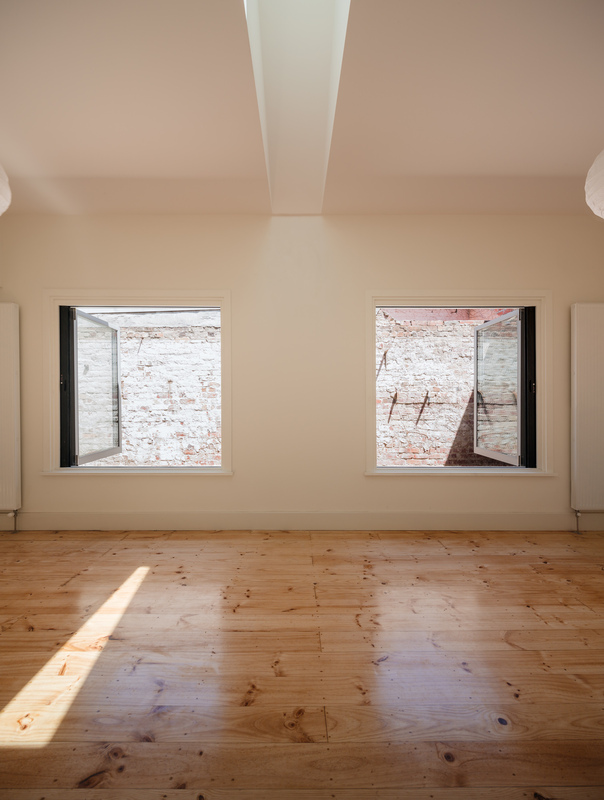 Skylights were also used in the new areas of the dwelling, which were carefully designed to maximise efficiency and connection between the kitchen, meals and outdoor area. 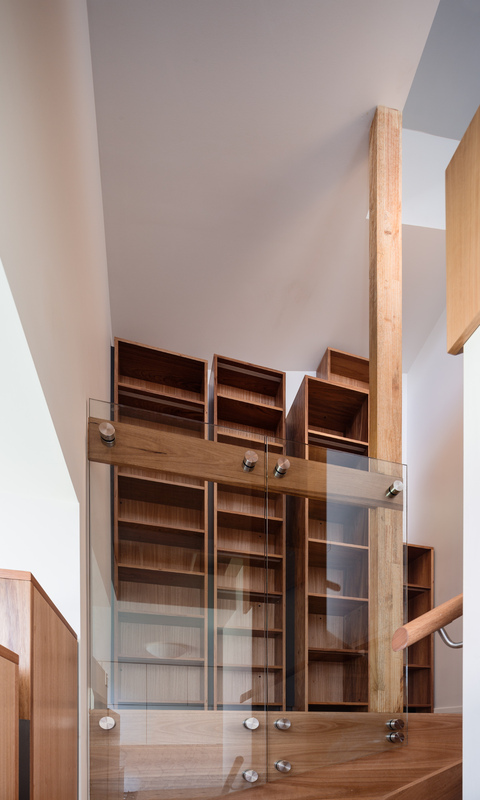 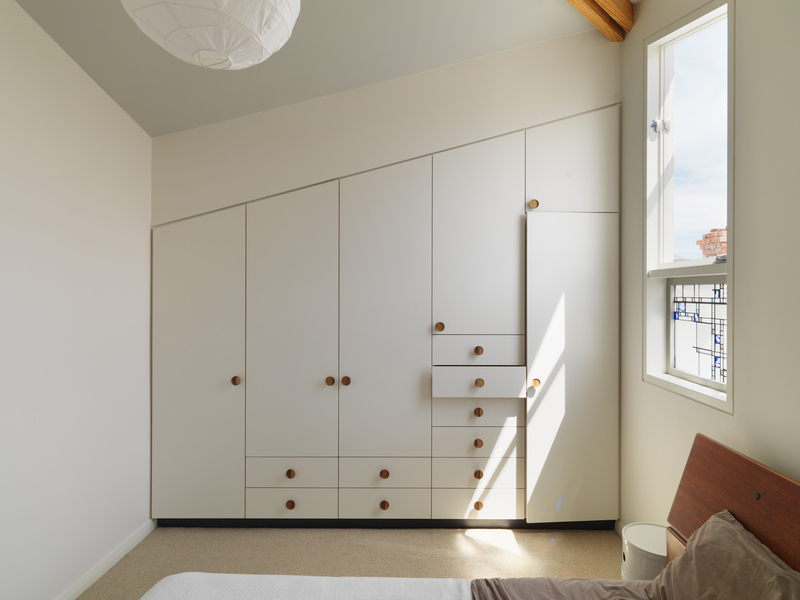 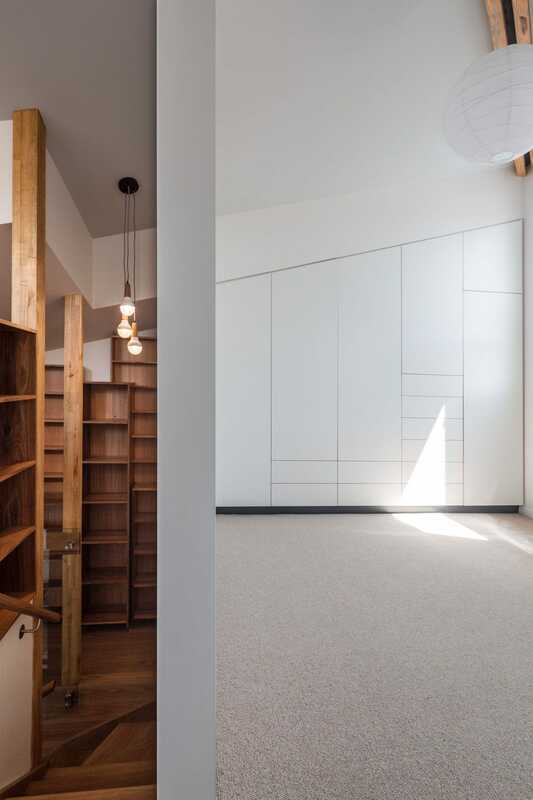 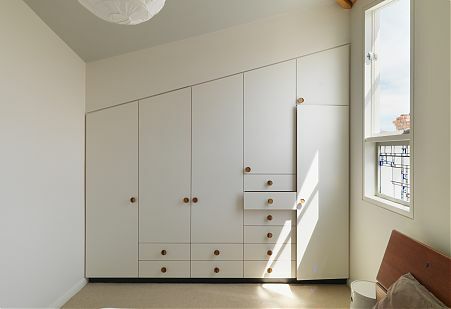 Upstairs lies a parent’s oasis: a master bedroom with custom-built robes, a study space and an angled roof. 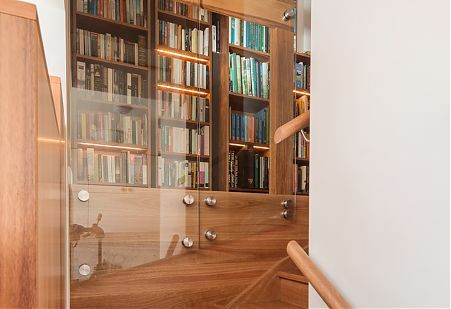 Otherwise wasted space in the stairwell became the book shelf and storage area. 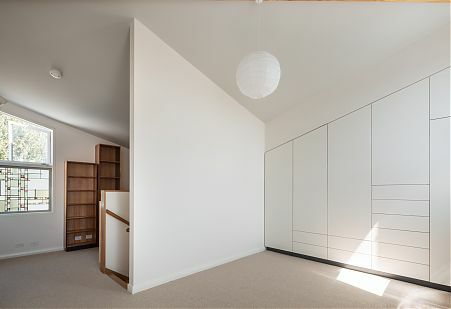 The finished home is a series of connected spaces rather than one big open space. 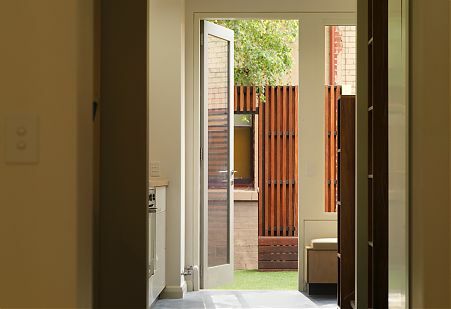 This means different activities can take place at different times. 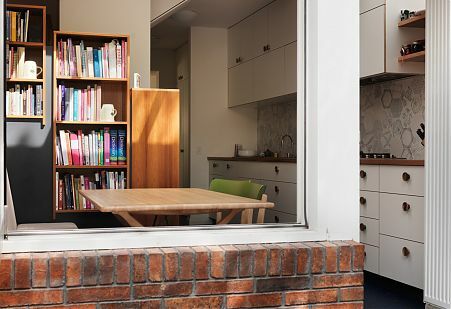 This home is proof that small-footprint living does not need to be a compromise, and that a simple terrace house can still meet the needs of a growing family.